On the Friday before the Victoria Day holiday in 1945, my dad splurged and spent three dollars on firecrackers at a store on Oakwood Avenue. Among his purchases were Pinwheels, Comets, Whiz-bangs, Fountains, Sparklers, and a Burning Schoolhouse. However, our favourites were the Roman Candles, as we knew that they rocketed high into the night sky, exploding in bursts of sparkling colour while creating loud crackling sounds. On the 24th, as the sun commenced dipping slowly toward the western horizon, our anticipation increased. We gathered on the veranda, and anxiously waited for night skies to blanket the city. There were a few public displays in the parks, but none within easy travelling distance of our home. As a result, the families in our neighbourhood purchased their own fireworks, usually at a corner store that sold penny candy. As it darkened further, we lit “whiz-bangs,” also referred to as “squibs,” which were small firecrackers, and tossed them into the street, where they exploded like gunshots. We waved sparklers in the air forming patterns of light. Finally, when it was totally dark, my dad set-off the serious firecrackers. Showers of flames burst from the curbs beside the sidewalk and rocket flares exploded, the scene reminiscent of a battlefield. My brother and I cheered as the Burning Schoolhouse was demolished in flames. Neighbours staggered their displays so that not everyone’s exploded at the same time. All up and down Lauder Avenue, for over an hour, the night sky was broken with bursts of light. When our family had exhausted our supply, we watched the neighbours’ contributions. Adults supervised carefully, to prevent a mishap. My brother and I were entranced by the fireworks, but my brother loved them the most. Even as an adult, he travelled considerable distances throughout the city to observe displays. On the night of May 24, 1945, I sat beside him and shared the excitement. After we were sent upstairs to bed, we crept into my parents’ bedroom and gazed out the window overlooking the street to observe the last of the explosions. A few teenagers had acquired their own firecrackers and were setting them off after the families with young children had retired from the scene. The next day, in the curbs beside the sidewalks, my brother and I observed the charred remains of the previous night’s revelries. Similar to “the next-day” pumpkins and discarded Christmas trees, they were reminders of a glorious time well spent. Queen Victoria, born 24 May 1819, ascended the British throne in 1837, at eighteen years of age, on the death of her uncle, King William 1V. The legislature of Canada West, the province later renamed Ontario, established the monarch’s birthday as a holiday in 1845, naming it Empire Day. This was an act of true homage to the queen, as in 1845 Christmas Day was not a legal holiday for workers. It was solely at the discretion of the employer. The holiday was observed on the day in which it occurred, but if May 24th were on a Saturday or Sunday, the holiday was celebrated on the following Monday. In 1867, when four Canadian provinces joined to create the Dominion of Canada, they continued to celebrate the holiday in Ontario. In 1876, Victoria was crowned Empress of India, which engendered further prestige for the monarch. When Victoria died in 1901, after reigning sixty-four years, the Parliament of Canada established the 24th as a national holiday, and changed its name to Victoria Day. In 1952, the government decided that the Victoria Day holiday would occur each year on the Monday prior to 25 May, and this has remained to the present era. Sunnyside Amusement Park in 1923. When I visited it as a child in the 1940s, its appearance was basically the same, so the above photo depicts Sunnyside as I remember it. Photo from the Mike Filey collection, in the Toronto Archives. Today we live in a world where people are extremely mobile and well-connected via social media. Toronto in the 1940s was vastly different. Few households owned a phone, due to the high rental costs, and cell phones were science fiction, relegated to the comic sections of the newspapers. Automobiles were prohibitively expensive, and were not being manufactured since the companies were busy assembling tanks and vehicles for the war in Europe and the Pacific. Adding to the difficulties of owning a car, rubber tires and gasoline were rationed. Thus, 1940s Toronto was a narrower world than that of today. People tended to purchase or rent houses within close proximity to friends and relatives, so they were able to walk to each others’ houses to converse about the trials and joys of life. Chatting with neighbours often occurred over a fence in the back garden, particularly on Mondays, which was washing day for most families. Corner stores and greeting neighbours when walking along the sidewalk also provided opportunities for exchanging information. For more important news, such as the war front, most households owned a radio. To keep in touch with family members who lived beyond the neighbourhood, a visit by streetcar or bus was necessary. If they were further afield, hand-written letters or postcards were sent. Because owning an automobile was beyond the reach of most households, the majority of families were confined to the city. If they wished a day-trip away from the neighbourhood, in summer they visited places such as High Park, the Humber Valley, Scarborough Beach, and Kew Beach. Centre Island and Hanlan’s Point were other popular summer destinations, a ferry ride across the harbour considered an added attraction. However, in my family, the favourite day-trip was a visit to the Sunnyside Amusement Park and the sandy beach nestled beside it. Even on the hottest day, the breezes from the lake were cool and refreshing. We always arrived at Sunnyside via the Queen Streetcar, disembarking at Roncesvalles Avenue, where it intersected with King and Queen Streets. Walking across the Sunnyside railway bridge, we descended the iron stairs to the amusement park below. As we walked past the rides, which included an enormous rollercoaster named the Flyer, I longed to be of an age to climb aboard them. Alas, I was confined to the merry-go-round, now usually referred to as a carousel. Where Sunnyside’s rides were located is today where the Gardiner Expressway exists. The merry-go-round at Sunnyside in 1945. It was eventually relocated to Disneyland in California. The Flyer (rollercoaster) is evident in the background. Photo from the Toronto Archives, SC 139-2, Box 148489. In 1912, Toronto’s city councillors voted to erect an amusement park at Sunnyside, to the west of the downtown, beside lake Ontario. Projected to cost $19 million, work began in 1913, but construction stopped when the First World War began in 1914. After the war, the project resumed, and over 1400 acres of land were reclaimed from the lake. The final stage was to landscape the newly created land with top soil and sodding. By 1919, as work on Sunnyside proceeded, it was evident that a new roadway was required, which meant replacing the old Lakeshore Road. Completed within a year, the 54-foot-wide, four-lane Lakeshore Boulevard West was opened. Two year later, on June 28, 1922, the amusement park was officially inaugurated by Mayor Mcguire. At the time, Sunnyside Amusement Park had not been completed, but a few of the rides and the Bathing Pavilion were ready for visitors. The Bathing Pavilion, designed by Alfred Chapman, costing $300,000, accommodated 7700 bathers, and had a roof garden where 400 guests could purchase refreshments and snacks. To enter the pool, the cost was 25 cents for adults and 15 cents for children. However, there was a 1100’ free bathing area to the south of the Pavilion, and another at the western end of Sunnyside, close to the east bank of the Humber River. After its official opening in 1922, thousands strolled the boardwalk at Sunnyside, swam in the waters of the lake, or dived into the new swimming pool. The Palais Royal, built at a cost of $80,000, also opened the same year. Walter Dean’s Boat Building Factory was in the basement level, so only the main floor was occupied by the dance pavilion. However, due to the dance hall’s success, it was not long before it encompassed the entire structure. It became one of the most popular dance venues in Toronto and featured many of the popular big bands. Its main competition was Palace Pier. During the next few year, the amusement park was completed. Popular features were the concession stands, dance pavilion, and an open-air theatre called the Band Stand. The annual Easter Parade was held on the boardwalk at Sunnyside. The Miss Toronto beauty contests and women’s softball games were also well attended. The Sunnyside rollercoaster, named the Flyer, was a wooden structure. I rode it many times in the 1950s and can still recall how the cars swayed from side to side as they descended from the highest section of track. This added greatly to the sense of danger. The golden era of Sunnyside was the 1930s and 1940s. During the late-1940s and early-1950s, automobiles became more affordable and families began journeying north of the city to escape the heat of a Toronto summer. The lakes of Muskoka and the beaches of Georgian Bay were the most popular. In 1955, the Toronto Harbour Commission ordered the demolition of Sunnyside. By the end of 1956, the summer retreat that previous generations had known and loved, was but a memory. 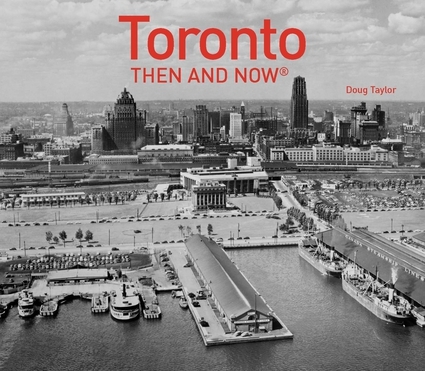 The land is now beneath the Gardiner Expressway and the widened Lakeshore Boulevard. Sunnyside, likely during the late 1920s, the view gazing west along the Lakeshore Boulevard. The merry-go-round is the large round structure on the right-hand side (north) of the Lakeshore Boulevard. Toronto Archives, Series 2375, Box 153822. The Band Stand at Sunnyside in 1939, when the Peoples Credit Jewellers Community Sing Song was in progress. Toronto Archives, SC 156-180, box 153800. A concession stand at Sunnyside in 1929, Toronto Archives, F1034, Item 0844. Crowds at Sunnyside in 1924, Toronto Archives, Toronto Archives, Fonds 1266, Globe and Mail Fonds. Sunnyside on December 24, 1924. Toronto Archives, F1266, Item 4392. Sunnyside Beach on August 21, 1935. The view faces east. Toronto Archives, F1231, Item 0653. The Sunnyside Pool in 1929, Toronto Archives, F1231, Item 0658.